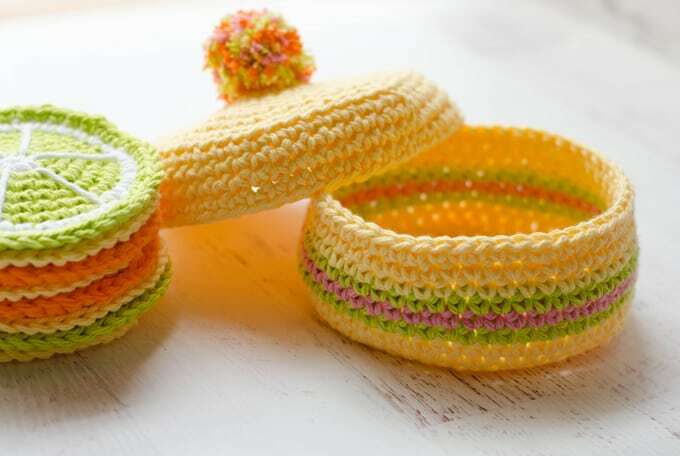 So you’ve made some crochet coasters. Maybe you want something extra special to store them in. 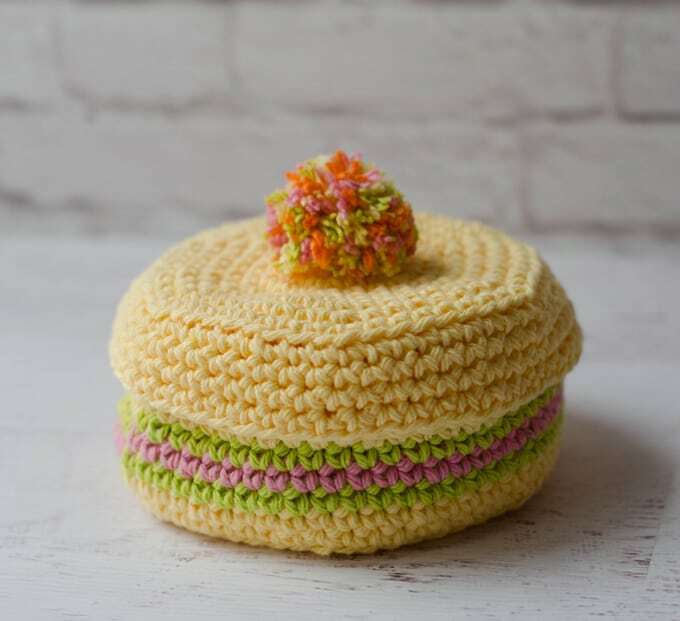 Here’s the perfect thing: a Crochet Coaster Box with Lid. 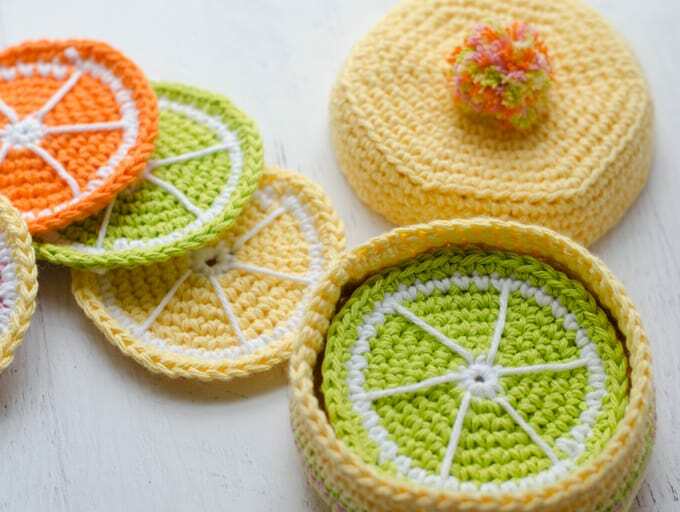 So easy and you can use the scraps from the citrus coasters to make it! Finished coaster box is about 4″ in diameter and 2″ tall. For the BOX, with Yellow, ch 2. R10: Working in the back loop this round only, sc around. (54 st). Sl st to next stitch and fasten off. For the LID, with Yellow, ch 2. R11: Working in the back loop this round only, sc around. (60 st). R12-14: sc around (60 st), sl st to starting stitch. For the knob on the lid, I made a pom-pom with scrap yarn from my project using my Clover 1-inch pom pom maker. You could also use a purchased pom-pom or a large bead. Voila! 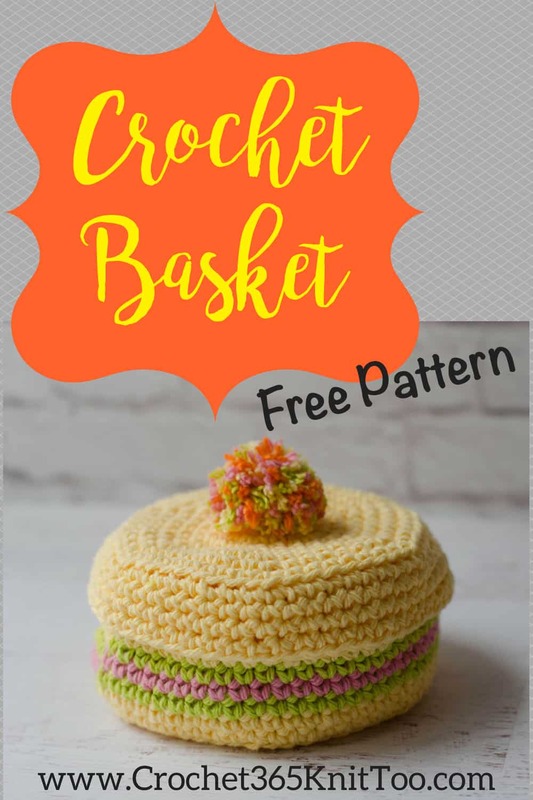 Your Crochet Coaster Box with Lid is now complete! I’m glad you enjoyed the pattern. The cotton I used was pretty sturdy and the lid fit just perfect for me. Of course if you want to make the top shorter, simply do fewer rows.